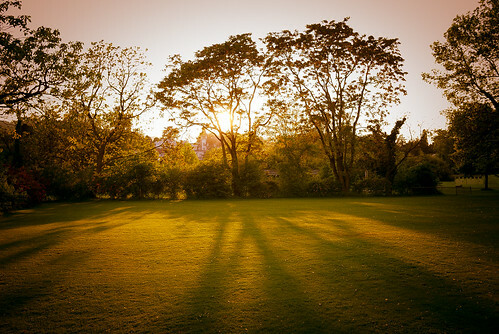 Located at the University of Zurich, Old Botanical Garden began its history in 1833. The project was developed by the gardener of the university – Leopold Karl Frobel. In 1851, the Palm Hothouse was built. Its frame was originally made of wood and only later was replaced by a metal frame. 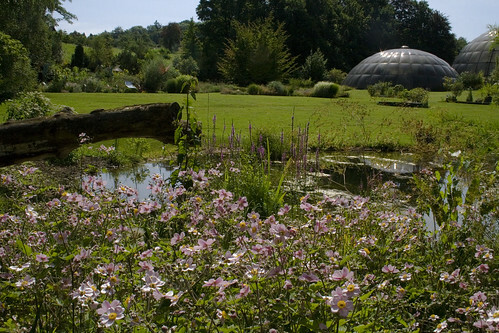 In the botanical garden of Zurich, you can see many species of flora, and the total number of plants exceeds a million. They represent a variety of ecosystems, ranging from tropical forests to alpine meadows. Over 9 thousand plants from different parts of the world grow in its well-groomed territory, in dome-shaped tropical greenhouses: various kinds of ferns, orchids, palms, as well as coconut and coffee trees, pepper, vanilla and carnivorous plants. To the north of the university there is a mound of boulders, where the alpine flora is planted. During a holiday in Switzerland, you can also explore the nature of the Mediterranean, making a tour around the Mediterranean garden. You’ll find there evergreen and cork oaks, fig trees, cypresses, strawberry trees. To the southeast of the Mediterranean garden there is a dried up riverbed with trees and shrubs of South Africa, Southern California and other arid regions. Old Botanical Garden is a popular holiday destination for locals and visitors of Zurich. On its territory there is an ethnological museum, as well as an arboretum and a garden of medicinal plants. The entrance to the botanical gardens is free of charge. Chinese Garden is a real “branch” of the Celestial Empire in Zurich. 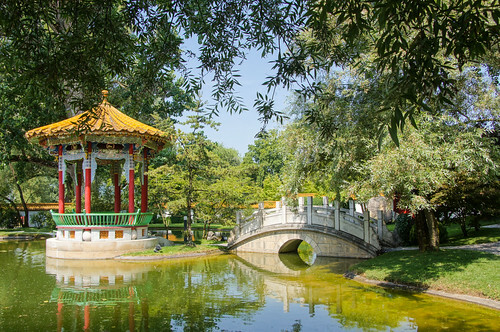 Opened in 1994, this green corner is a gift to Zurich from the twin city of Kunming. The park is dedicated to three main plants – pine, bamboo and Japanese plum mum. They are also called ‘Three Winter Friends’ for their ability to survive even in the coldest climate. The place for the park was chosen very carefully in order to build it in full accordance with the Chinese canons of temple gardens and the rules of ‘feng shui’. The central element of the garden is a pond with a small island and a round pavilion. On the southern shore of the pond, there’s Water Palace with open galleries, which gives you an opportunity to admire fish in the pond. The northern gallery leads to the square pavilion, where you’ll find a beautiful path surrounded by pine trees. Through the Lunar Gate visitors can get to a bamboo grove and then to a garden where the scent of a blooming winter cherry from the Chinese province of Yunnan makes guests forget that they are in Switzerland. If you want to enjoy the amazing natural beauty, it’s not necessary to leave the warm and friendly Zurich. It’s enough to visit its most picturesque part – Zurichhorn Park. A natural attraction called Zurichhorn is just an emerald in the frame of an ancient city. The cut of this ‘emerald’ was skillfully made by landscape architects Evariste Mertens and Otto Frobel, thanks to which there was a beautiful and spacious park with magnificent views of the endless expanse of Zurich Lake and snow-capped Alpine peaks. A wonderful Zurichhorn attracts up to 3 million visitors annually. On fine summer days, the townspeople gather near the lake to sunbathe and enjoy swimming in its clear waters. There is a pier on the lake, which is not a decorative element. There are regular water transport, and pleasure boats. In the evening, people also gather on the shore of the lake, but for another reason. For more than two decades, the largest open-air cinema in Switzerland has been operating in the park. Annually, from the middle of July and until mid-August, on the bank of the Lake of Zurich, film screenings are held. One of the attractions of the park is an unusual construction of glass and steel in the style of high-tech, built in the mid-1960s. This is the work of the famous French architect Le Corbusier. The original construction was designed as a residential building. Nowadays, it’s the Center of Corbusier and the Pavilion of Heidi Weber with expositions devoted to architecture and contemporary art. Numerous parks of Zurich not only show an amazing Swiss nature but also allow you to get relaxation strolling around them. Want to visit any of these fascinating green areas in the heart of Switzerland? Then rent a car in Zurich, set the name of your favorite park into the car’s GPS device and go!